Hannah discovered yoga in 1996 at a time in her young adult life that was particularly difficult. She realised how profound regular practice of yoga is, helping to maintain balance even in tough times. She wanted to share this with other people. In 2001 she travelled to India and completed a 200 hours yoga alliance course at the Sivananda Centre whilst there. 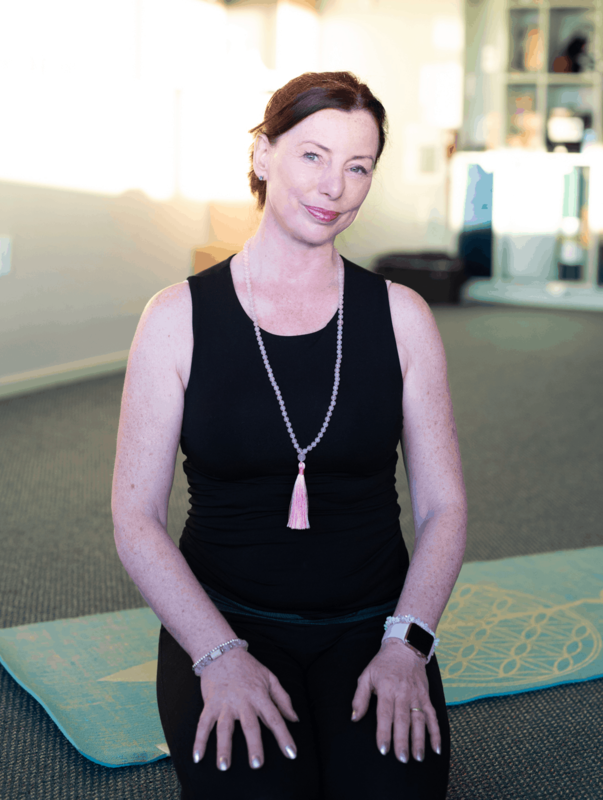 Hannah feels grateful that she has had many special teachers in her time in England, India, Australia and now here in New Zealand which has given her a wider understanding of different styles of asana practice and for broadening her knowledge of yogic philosophy. She is keen on the importance of meditation, yoga Nidra, breathing, and mindfulness. She is always expanding her learning and loves her yoga practice as much as she did when she first discovered it. She is also trained as a holistic therapist, specialising in treatments such as reflexology, therapeutic massage and traditional Thai yoga massage. Working with these techniques improves her understanding of how individual our bodies are and teaches with this sensitivity in mind.